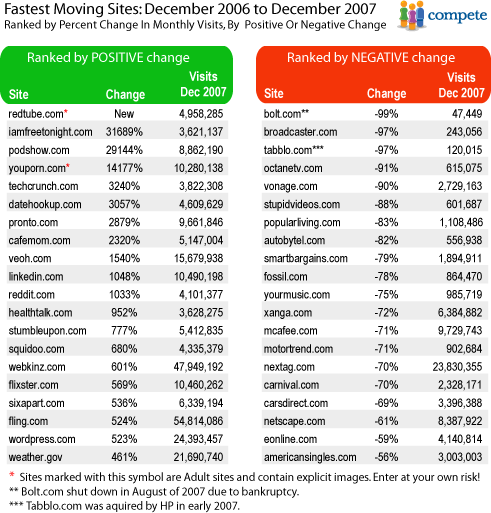 Compete.com has released their December 2006 – December 2007 list of websites their data shows have had the greatest percentage change in monthly visits. The niche socialization and peer centric categories continue to increase their penetration and share of the internet audience. 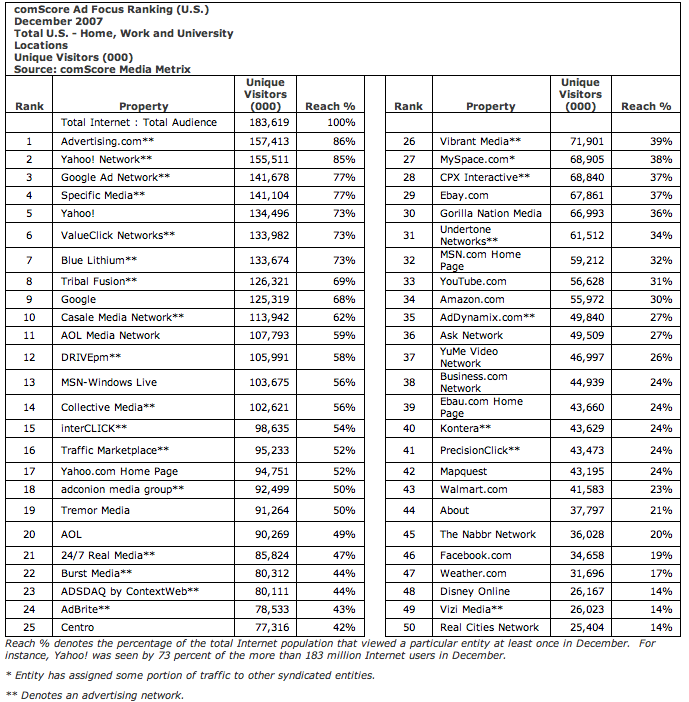 Who would have guessed “user generated adult video content” sites like R e d T u b e and Y o u P o r n would top their list? It will be interesting to see – what if any – new website categories appear and break out over the course of 2008. Or will social, peer and user generated content websites continue to command the market’s attention?